I recently found myself with various stacks of packing notes now that I now sell bookish items since the info that my book loving customers need differs than what my baby clothes buyers need to know. Even though I used different fonts for each type I found that I wanted a quicker way to be able to keep all the notes handy but easily distinguishable. 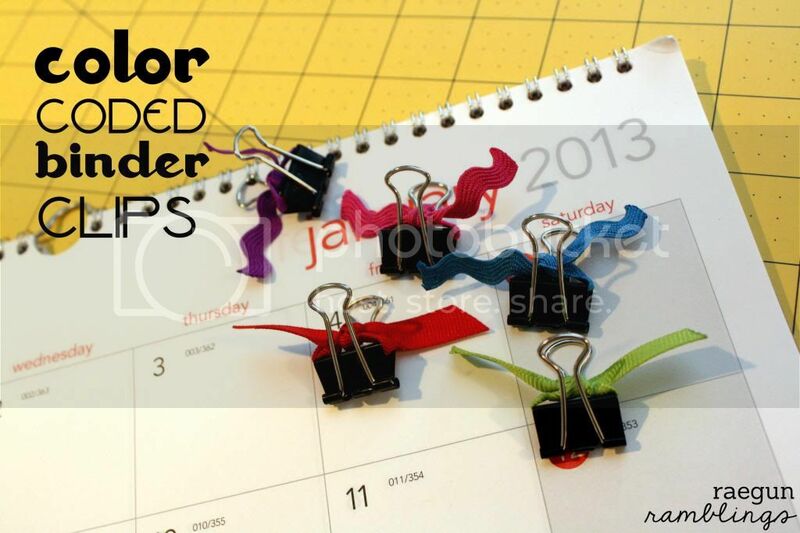 I came up with a super easy quick fix that I made use of my left over crafting scraps. 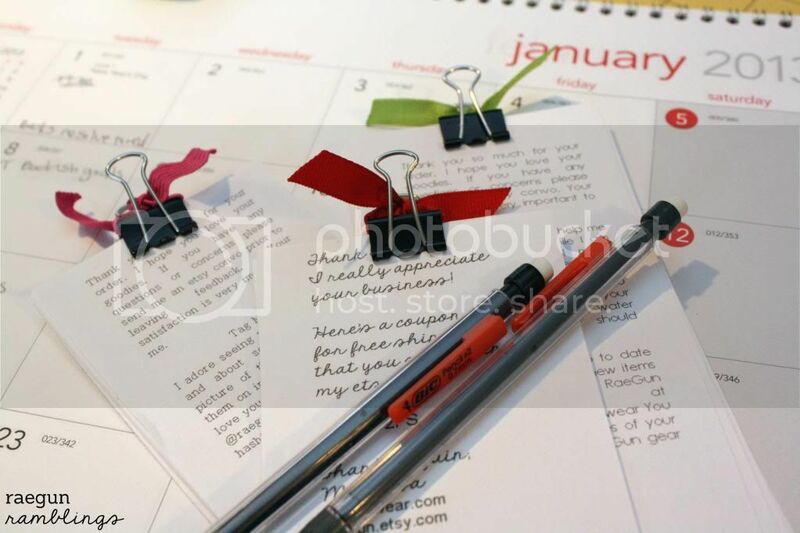 I figured as this year winds to a close and many of you will be looking for easy ways to get life a little more organized that this may be helpful for you as well. It’s been nice to me to be able to have a pile of papers but just grab the color that coordinates with the papers I want without having to flip through. You know any little bit of extra time is helpful. Plus these are so cheap and easy to make. 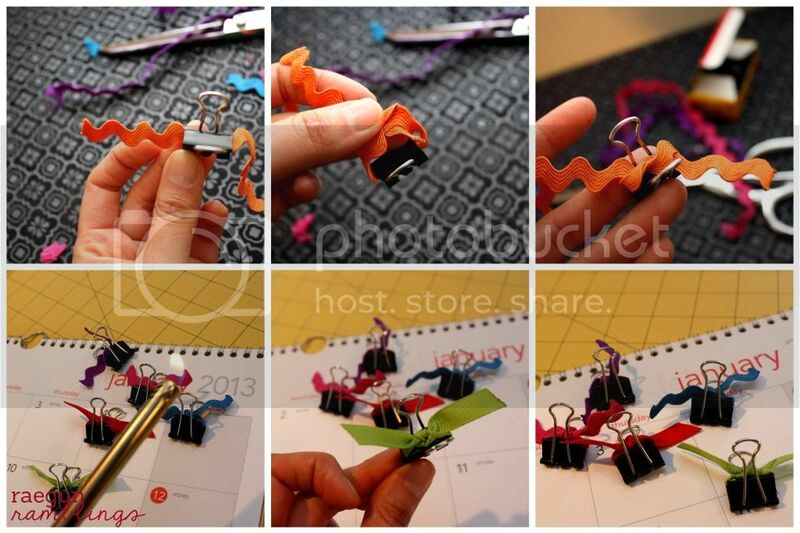 All you do is use some scrap rick rack or ribbon and double knot it around the top flat part of the binder clip. Then you run the edge over a flame just to keep it from unraveling. Quick, easy, and super useful. Do you have any organizational tips? I’d love you to share your ideas and links in the comments I know many of us are trying to get organized this time of year. I love projects I would actually do! 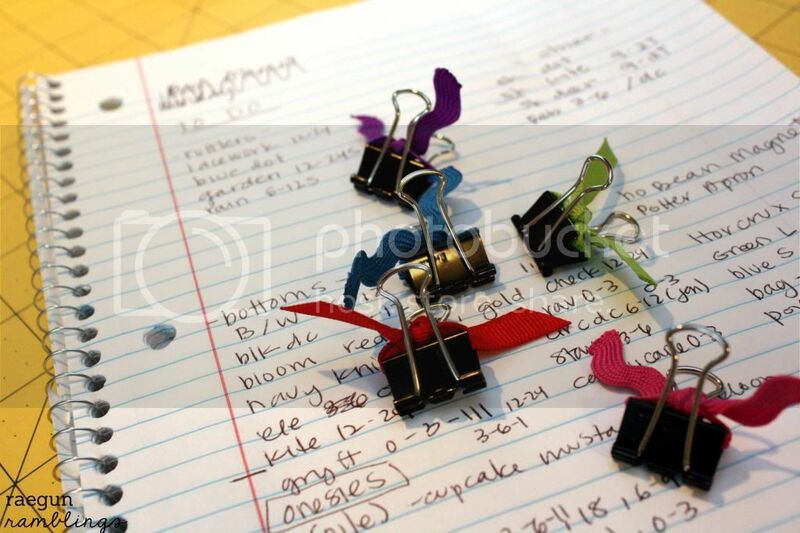 The fabric covered binder clips are really pretty – but these are really good for organizing papers (and so much faster to make). Posted top photo and a link back to your blog on truebluemeandyou. I love this idea! I’m a pretty good (and obsessive) organizer, but I actually hadn’t thought of this. Thanks for sharing! 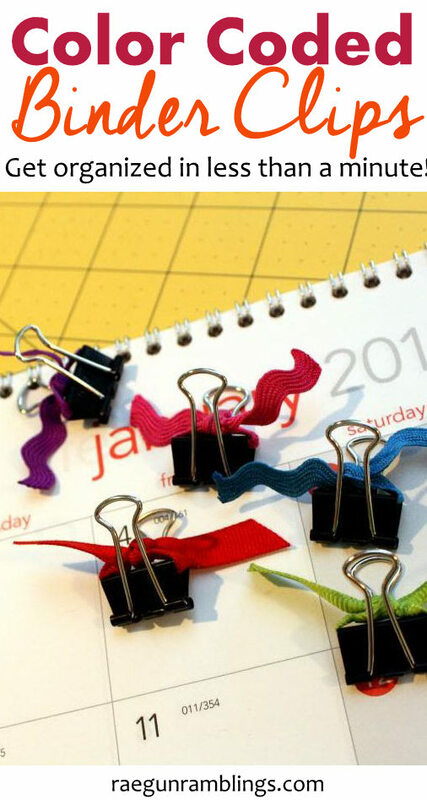 Very cute, colorful way to organize. I get in ‘organize’ moods and start with things like the ‘junk drawer’, closets, etc. I love the Command hooks — they are in all of my closets to hang bags, belts, hats, purses, you name it. Have a Great New Year! Thanks for Linking up at Show Me Your Plaid Monday’s! What a great idea Marissa!!! I just so happen to have an abundance of ribbon!! So simple and so cute! Also very effective. Love the idea. wish I had seen this years ago! Please share your projects at http://www.creativecraftsthursday.blogspot.com each and every week and check out what other craft divas are up to.